Research by eBay has revealed that mobile shopping could receive a £4.5bn boost in the UK by 2016, rising to as much as £19bn by 2021. The research reveals that m-commerce is on the verge of a potential four-fold increase, increasing to £6bn over the next five years, as consumers become more accustomed to shopping from their portable devices, but it will depend on the roll-out of fourth generation (4G) mobile networks across the country. We reported last week that 4G mobile broadband is being trialled in the UK later this year, but it currently isn’t scheduled for widespread roll-out until 2014. And following its research, eBay UK has called on Ofcom to do more to address mobile consumer frustrations when the rules for 4G mobile networks are ratified later in 2011. Ofcom will decide on how best to sell licenses for new super-fast 4G mobile broadband, and is currently consulting on the rules of the auction. Indeed, with current mobile networks often criticized for offering patchy coverage, unreliable connections and slow connection speeds, eBay has used its latest findings to try to convince regulators that more has to be done when the future of 4G is set out. Despite the potential of m-commerce, the research also warns that UK retailers are currently missing out on at least £1.3bn as a result of consumer frustrations with unreliable mobile broadband coverage. The research, carried out by Verdict Research on behalf of eBay, shows that 16% of the UK sits in what it calls an “m-commerce not-spot” – where mobile spending is at least a fifth lower than the national average. These ‘not-spots’ lie in sparsely populated areas such as the Scottish Highlands and Islands, rural Wales and rural counties of England. 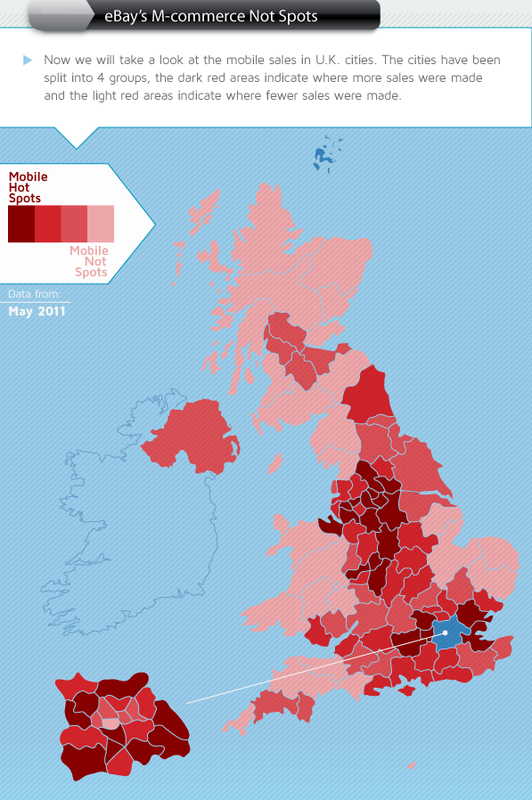 However, the evidence also shows that mobile shopping is under-performing in key urban areas too, including central London, with broadband reliability and coverage hindering the mobile retail market. This is in keeping with our report last week, which looked at the best performing mobile broadband operators in the UK. This report indicated that mobile broadband in urban areas was highly variable, and that living in a big city didn’t guarantee fast mobile Internet. The study by eBay revealed that more than a third of consumers have failed to complete a purchase on their mobile due to mobile broadband issues. 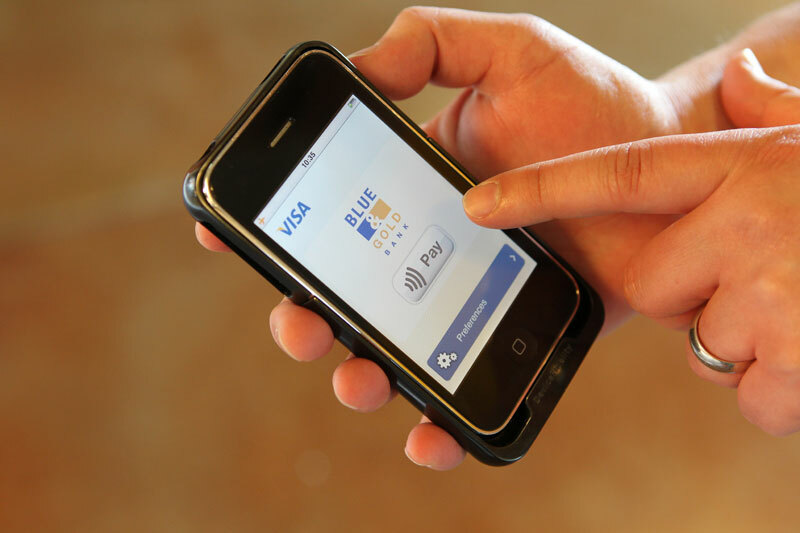 Although the network coverage (79%), reliability (85%) and speed (86%) of mobile internet connections rank highly as barriers to mobile shopping, consumers are also heavily deterred by the cost of data (80%). In contrast to the country’s ‘not-spots’, eBay’s report also revealed which places were veritable hot-spots for users of its mobile platform. Birmingham ranked top, and was 75% higher than the national average. This was followed by Chester (62%), Leeds (28%), Romford (28%) and Halifax (26%). For m-commerce to flourish, the UK really does need to get up to speed on its mobile broadband technology, and the 4G roll-out will be pivotal in the growth of ubiquitous shopping.